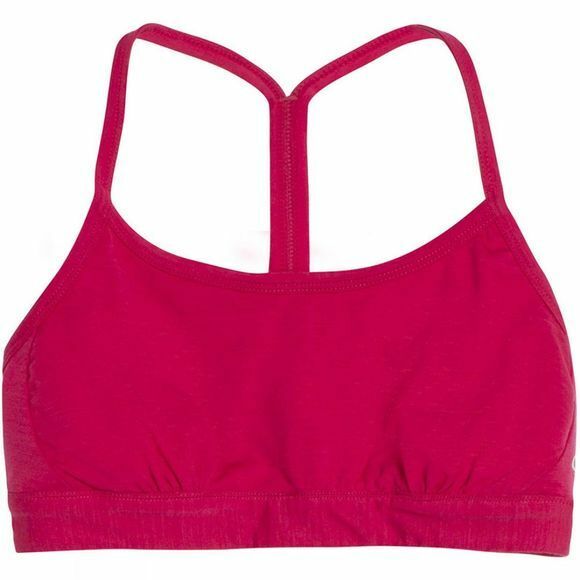 The Women's Tiki Bra is a stretchy, breathable sports bra, designed to layer. It can also be worn alone during bouldering, yoga or trail runs. Made with Icebreaker's breathable and super-comfortable Cool-Lite jersey fabric, this bra combines soft, breathable merino wool with natural Tencel and a touch of Lycra for stretch. Offering secure coverage and support with a sporty spaghetti-strap racer back, the Tiki Bra is ideal alone or layered in an outfit, and features a soft brushed interior for added comfort.